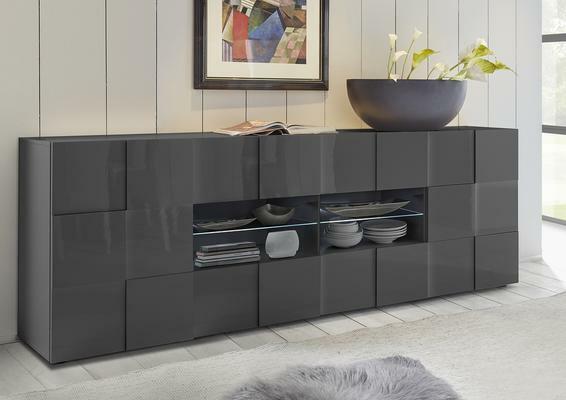 Treviso Collection Sideboard in High Gloss Grey Lacquer finish with 'chequerboard pattern' door and drawer fronts. Right opening doors with internal wooden shelf in contrast grey finish, four drawers on metal guides. Central space with glass shelves.